The seventh Sofia Pride parade passed off peacefully, escorted by a strong police presence and with the moral support of several foreign ambassadors. 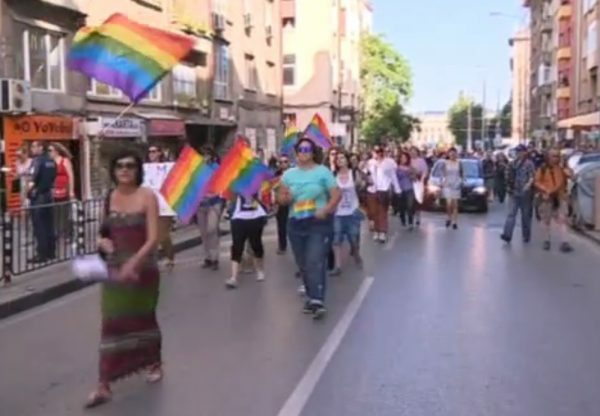 The Pride parade was held on July 5, having been postponed from June 21 as a gesture of respect for those who had died that week in the deadly floods in Varna’s Asparouhovo and in Dobrich. Reporting from the parade, which followed a route through the centre of Bulgaria’s capital city, public broadcaster Bulgarian National Television noted that the “Pride test” of tolerance still did not register the support of the institutions of Bulgaria, and that for the latest consecutive year, only foreign ambassadors came to support the human rights march. Participants in the parade held posters with messages directed to various institutions, from the President’s office to parliament to the Bulgarian Orthodox Church, the last-mentioned routinely a vehement opponent of the event. Sofia Pride organiser Radoslav Stoyanov said that the most important messages were directed to Parliament, because they were meant to be national representatives “and they should represent us too”. Politicians should speak in a tolerant way, he said, saying that it was unfortunate that most comments came only from nationalist populist parties with extremely negative messages.